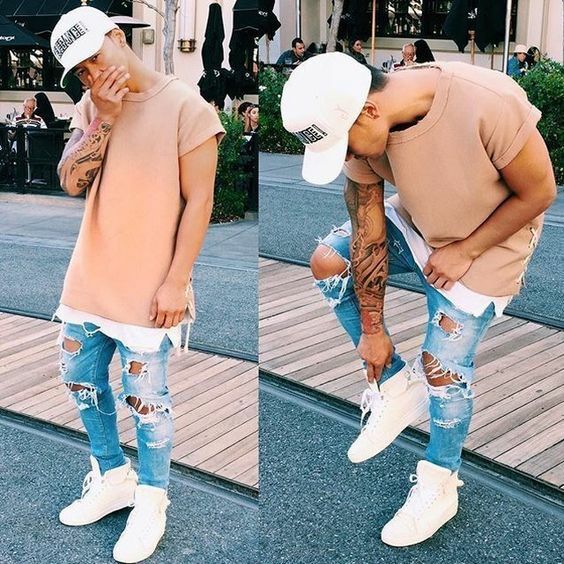 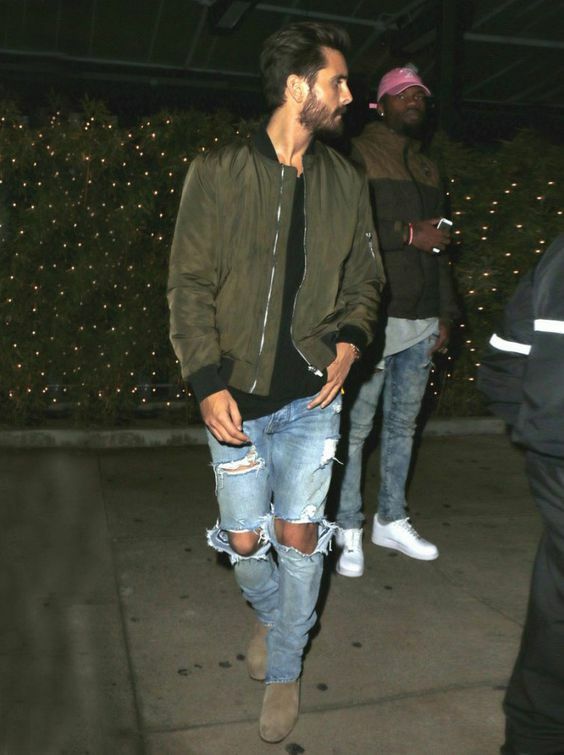 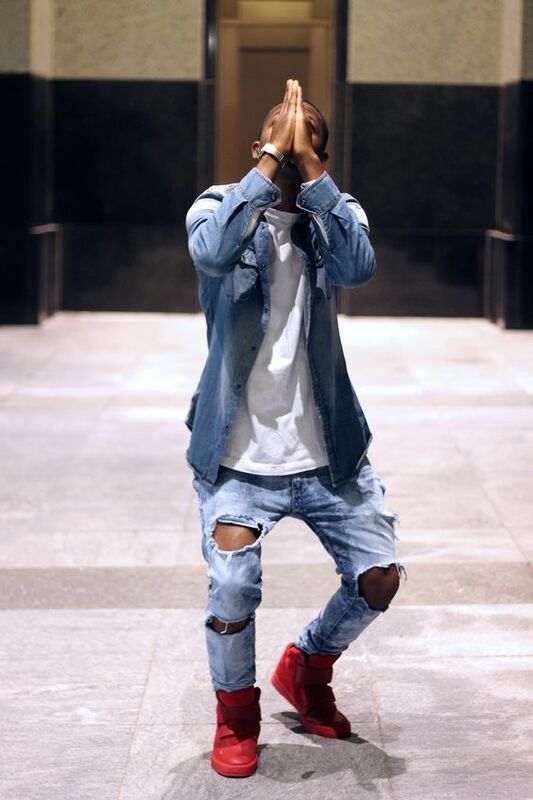 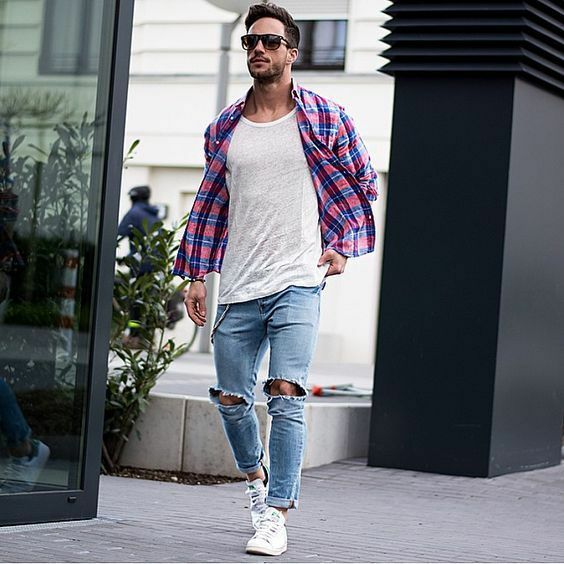 Ripped jeans are actual for all the seasons and any kinds of casual and relaxed looks. 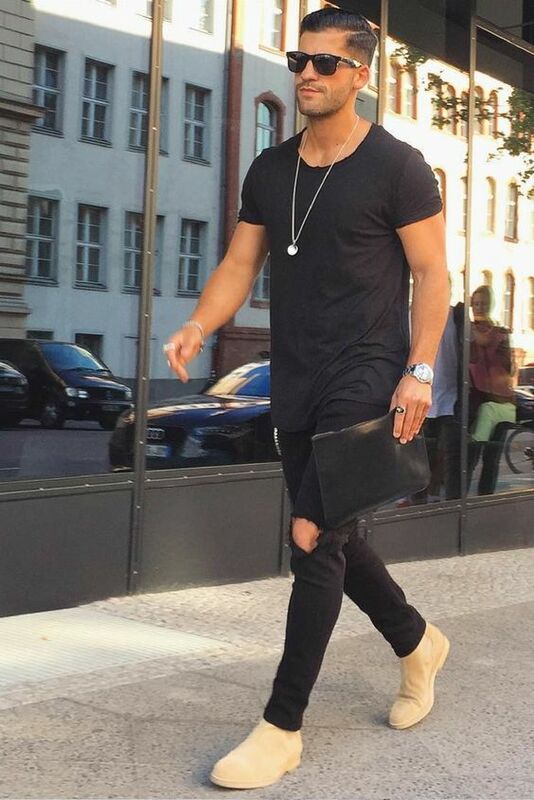 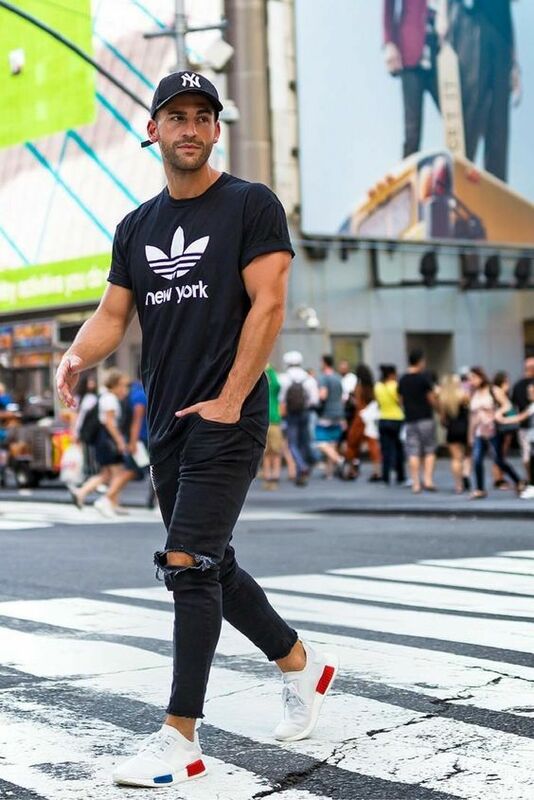 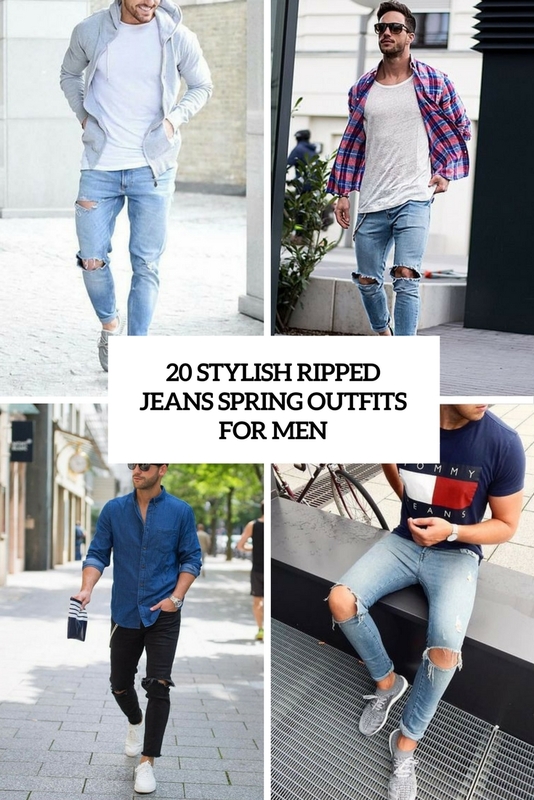 Today I’d like to share some ideas for guys, to be precise, how to wear ripped and even destroyed denim this spring, let’s get started. 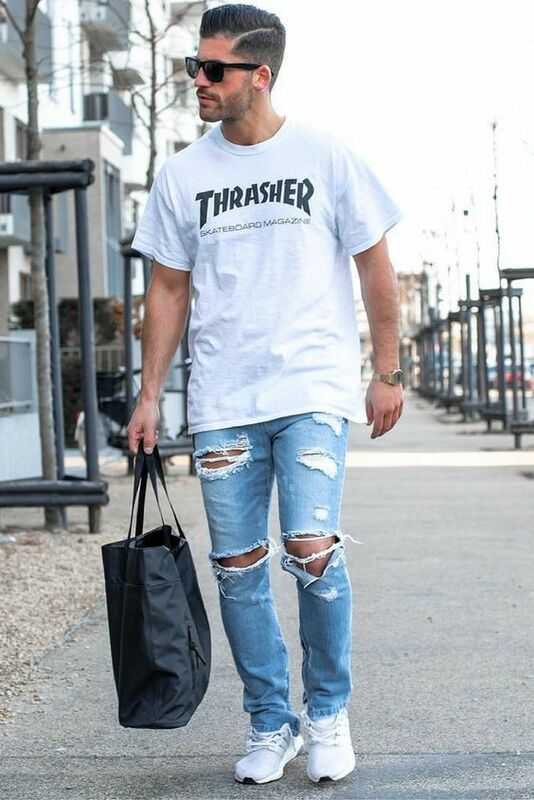 Jeans and a t-shirt are just created for each other! 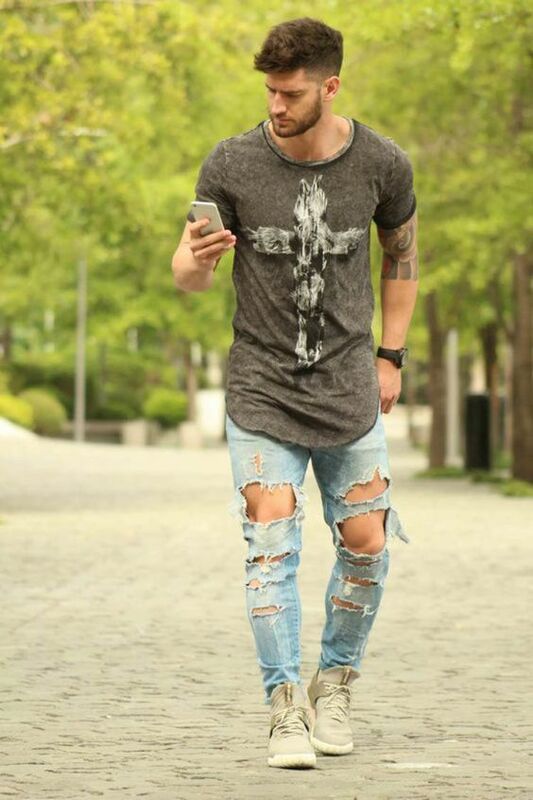 Rock your favorite ripped denim – blue, black, grey, white – with a cool printed tee! 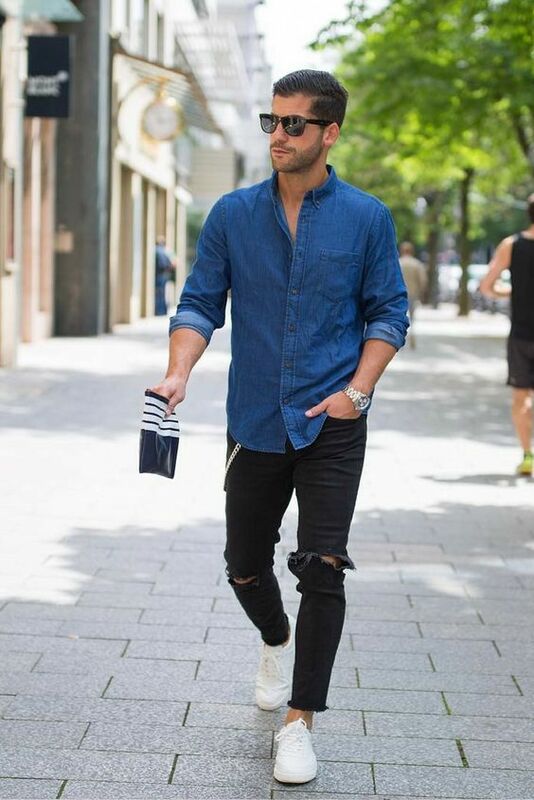 It can be also a plain t-shirt or even a shirt, a plain one, or with some pattern. 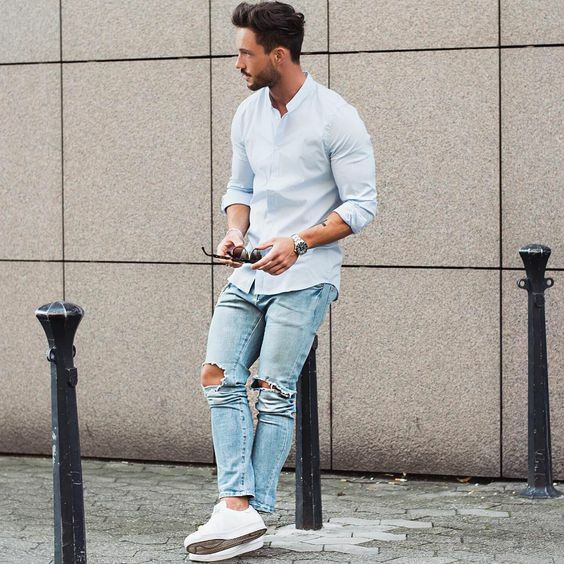 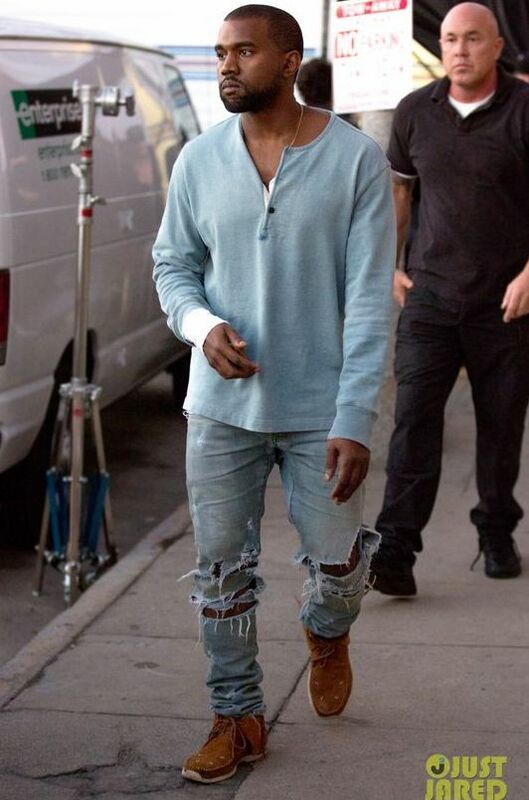 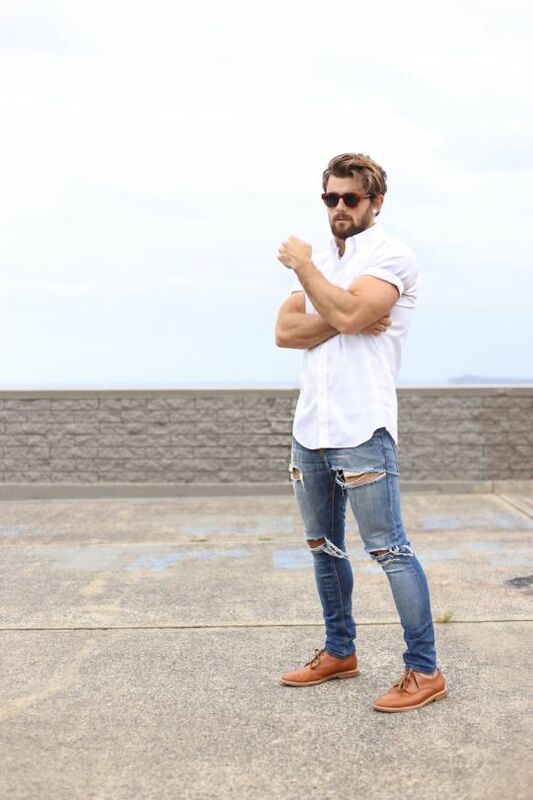 What looks great is a pair of ripped jeans and a chambray shirt of some contrasting shade. 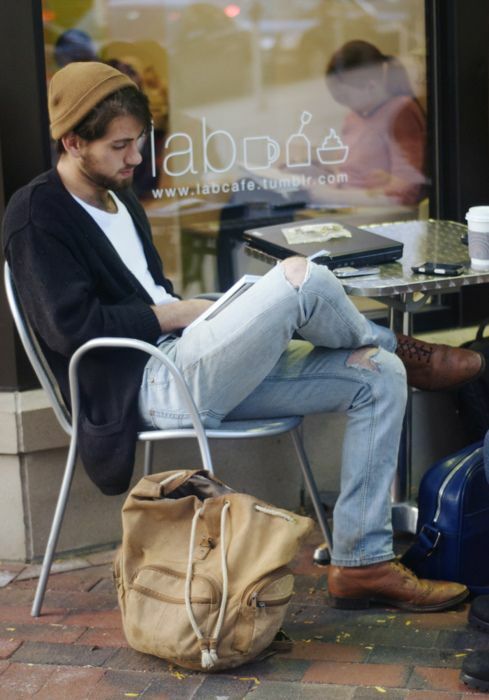 Add a pair of comfy sneakers, maybe of some different color, or suede moccasins and voila! 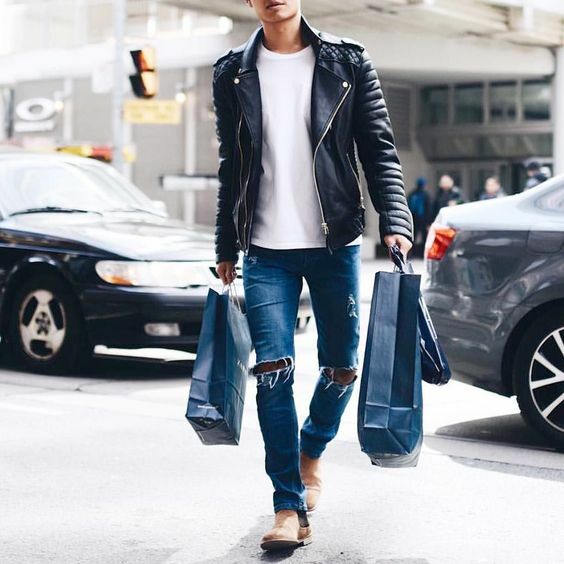 If it’s chilly, it’s better to go for a layered look. 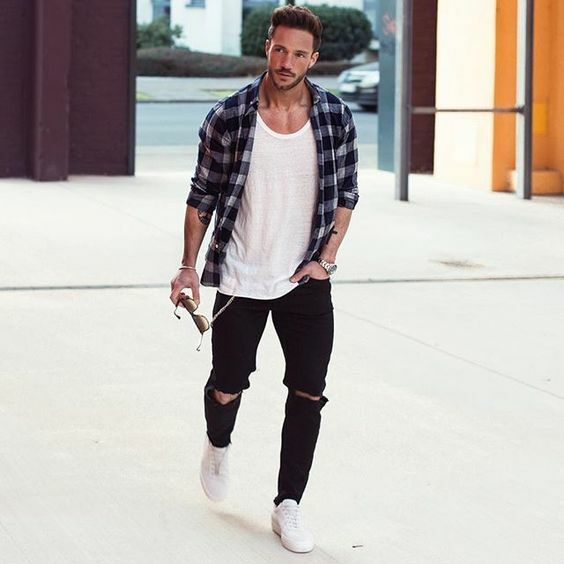 take a t-shirt and jeans as a base of your look and then add a bomber jacket, a denim or a leather jacket, and if it’s not that cold, a flannel shirt over it will be enough. 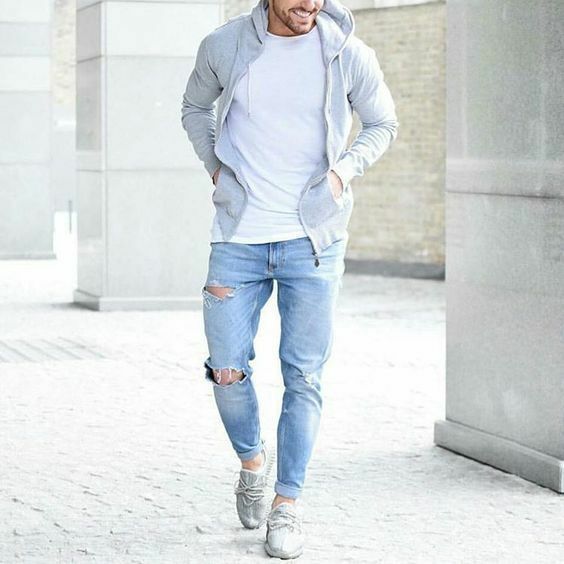 A hoodie or a sweatshirt can be also a nice alternative for a sporty look.